Movies like the Abyss, the Thing (1982), Cocoon (1985), Predator (1987) and Aliens (1986) really set the tone for alien sci-fi/action films in the ’90s: Predator 2 (1990), The Dark Side of the Moon (1990), Alien 3 (1992), Coneheads (1993) Stargate (1994), Species (1995), Independence Day (1996), Alien: Resurrection (1997), Contact (1997), The Fifth Element (1997), The Relic (1997) and Sphere (1998). Some of these films are similar in nature; where the aliens are hostile (Predator, Aliens and Independence Day), others have a comedic spin (Cocoon and Cone Heads) and yet others have an entirely different spin on extra-terrestrial life and their purpose for making contact with us. 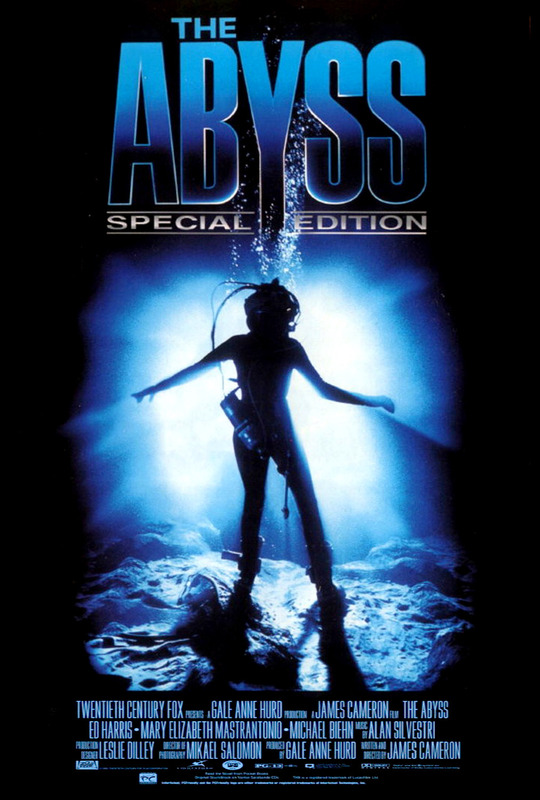 The Abyss, though an alien sci-fi film, was not actually focused on the aliens. And the aliens were not a malevolent force that we needed protection from. Though sci-fi in nature, this was also an action drama, with personal relationships and betrayal. It reminded me a lot of Contact and, to a degree, Stargate. An american nuclear submarine wrecks after something very large interferes with their on-board systems. A civilian dive team, and their jacked rig, is commission to head a search and rescue operation, with the assistance of a Navy SEALs dive unit. A number of issues face the team, from tension between the husband (rig captain) and wife (rig engineer) that cannot stand each other, the hurricane moving into their location, to the secrecy of the SEAL team. The situation quickly deteriorates and results in the rig team and the SEALs being trapped underwater, with no comms and the possibility that members of the teams are slowly going mad or they really did see aliens in the trench. Great performances all round, with just enough ’80s overacting to trigger the nostalgia. I’m a huge Ed Harris fan so I don’t have anything bad to say here. Initially, I wasn’t convinced by Mary Elizabeth Mastrantino‘s performance but the character slowly grew on me and her attitude started to make sense, thus putting Mastrantino’s performance in perspective. Undoubtly, the best performance was the rat. Her nose was on point and the scene with the perfluorodecalin was flawless. That scene was real. They really did submerge the rat in the fluid and she did really breath the oxygenate fluid. As a result, the movie was given a “unacceptable” rating by the American Humane Association as they felt that this scene was not necessary to demonstrate the fluids efficacy. Personally, it was a scene that stuck with me all through my childhood and into adulthood because it fascinated me. When I was a teen I discovered that this technology was real and that the scene was not CGI. My mind was blown. This is the general feeling I have when it comes to the special effects in this movie. Cameron doesn’t rely on CGI very heavily which gave the film a more authentic feeling. There’s a bit of soft-science, as with all Cameron films, but generally the movie checks out. I really liked the explanations behind the technology and the use of logic is certain scenes. 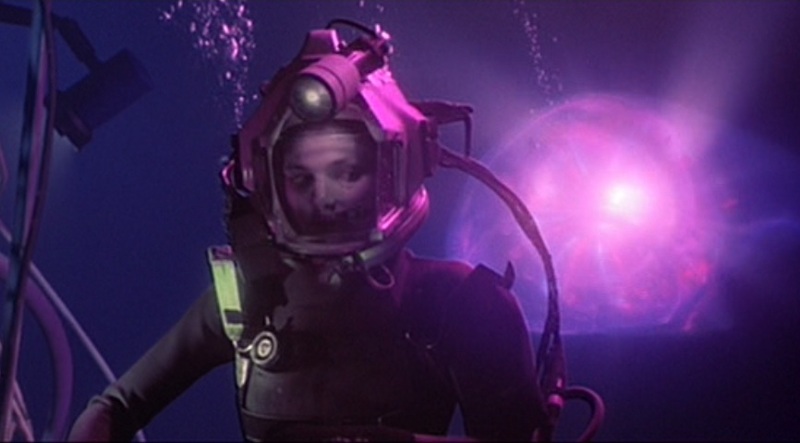 A great example of this is where Virgil and Lindsay are stuck in the submersible with no way to get back to this rig. Scared, frustrated and cold, Lindsay suggests that she drown and Virgil essentially tow her body back to the rig and revive her once they get there. They have only one dive suit between them and he is the stronger swimmer. Sounds absurd but if you look at the facts, this is really good logic. The water at those depths is freezing, this would slow down her body’s processes and though her lungs would be filled with water, she will be cold enough to be revived with minimal chances of brain damage. Water in your lungs doesn’t kill you in a drowning, it’s the inability to extract oxygen that kills you. With her body’s slowed processes, this is plausible. In addition to this, this scene was decidedly human and created a visceral connection with the viewer without being cheesy. Lindsay’s terror is palpable, as is Virgil’s reluctance and distrust in this plan. I think the reason I have never been a huge Cameron fan is that I find he relies too heavily on stereotyping. A prime example here is that the Navy SEALs are portrayed as complete and utter assholes, not because of procedural correctness but because of their type cast behaviour. Some of this can be explained by the narcosis but the impression is deliberate. They are meant to be mindless, order following rats. I would have preferred if Michael Biehn‘s character was governed by procedural correctness (as expected from military personnel) but more forthcoming with the crew of the rig. That way, his behavioural change due to the narcosis would have been more extreme and more emotive. The tech in this film is ridiculously expensive and awesome. Some of it was highly unrealistic, like the speed at which the ROVs move, but otherwise, it was just a fun ride. This is a great film with good acting, big toys and some medium science. 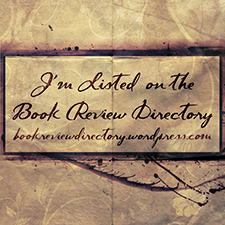 Definite recommend!